BHUBANESWAR, India, Apr 14 2016 (IPS) - As Bhubaneswar experiences scorching heat of 43.2 degrees Celsius in early April, 5 degrees above normal, 44-year-old Prasanti Behera barely sleeps at night. Two summers ago, a fire charred 50 homes in her slum and burnt in seconds US$600 she had painstakingly saved over two years for her daughter’s marriage. As the city’s heat graph shoots up, Behera longs for a safe brick home. Heading the winners list of India’s much-publicised 100 smart city challenge, Bhubaneswar city government is all set to develop as its smart city just 3.9 square kilometers (399 hectares) or 2.4 per cent of the city municipality’s area called Bhubaneswar Town Centre District (BTCD) – describing it as ‘a vibrant 24×7 destination, a signature intervention reflecting the city’s image.’ US$ 615 million (Rs 4,420 million) is the proposed expenditure for this project out of a $675 million budget. The remaining $66 million is earmarked for the pan-city development of bus services, traffic and parking management. Coming two streets away from Behera’s slum, the smart city demarcation will starkly divide the city into an enclave of economic opportunity amidst all-round inequity. Out of a total of around 500 informal settlements housing 40 per cent of the one million population in Bhubaneswar, only four are included in the smart city development, while the rest are left out even though India’s 100 smart cities are meant ‘to meet the challenge of settling its growing urban migration in decent and humane ways’. Of the one million population who call the city their home, only 46,000 or less than 5 per cent will benefit with 24×7 water, electricity, internet connectivity, policed security, walkable streets, public transport connectivity, green areas, treated sewerage and other improved urban necessities the ‘smart district’ promises to provide. Digital-age apartheid has arrived, say town planning experts. “What’s more, the larger remaining population that benefits little from the ‘smart district’ will pay taxes for its upkeep,” urban planner Piyush Ranjan Rout told IPS. 56-year-old Jasoda Bagha and some 200 households in Satyakali slum, encroachers on an important city wetland and natural stormwater drain, are considered the lucky ones, being inside the BTCD. They however are feeling anything but lucky. They are a worried lot. Like most slum-dwellers, Bagha is completely in the dark about the smart city development. Jasoda’s daughter-in-law Kalpana Bagha said they hear rumours their plastic-sheet homes will be demolished. The twin cities Bhubaneswar and Cuttack have a shortfall of 360,000 low-cost houses, more than double from a decade back. The smart city project proposes to clear out all four high-concentration slum sprawls within the BTCD, and restructure 6,000 one-room abodes providing basic services. This will be undertaken under a federal government funded ‘housing for all’ plan that aims to build 20 million houses for urban poor by 2022 throughout India. The beneficiaries however will have to part-pay for these low cost dwellings which would be a challenge for the poorest migrants. The remaining high-value land parcels would be ‘responsibly’ monetised or commercially used to attract investment, says a municipality document. In Bhubaneswar’s smart city financial plan, land use interventions have the second largest expenditure share. Concerned citizens fear this is a roundabout way to remain non-controversial while converting ‘social land’ to commercial land, thus putting future land use decisions into the hands of powerful corporate, side-lining citizens. Till the low-cost houses are ready for occupation, the slum-dwellers will be resettled in temporary transit accommodations for two years, if not more. “I work as a domestic help in the residential colony just adjacent to our slum. 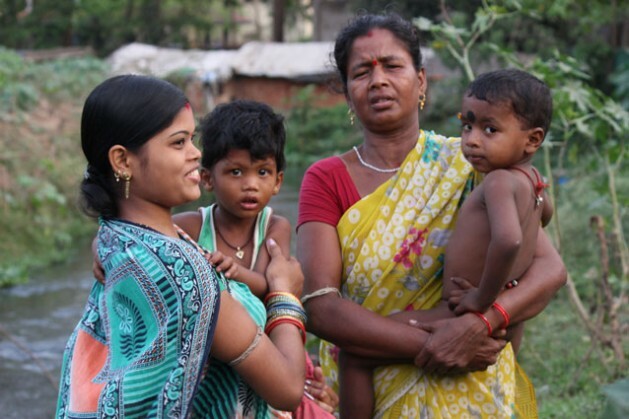 If we have to resettle at a distance, how can I continue my earning?” Jasoda asked. For Jasoda Bagha to travel cheaply and quickly to her workplace even if she moved further away, last mile and frequent bus mobility is a must. Bhubaneswar however has seen a jump of 23 per cent in private vehicle ownership within just a year. This negates the need for investments in public transport, the likes of which could help Bagha. Heavy private traffic has also made walkability the city’s major problem, according to a citizens’ survey. The dispersed spatial character of Bhubaneswar increases use of fossil fuels, the highest cause of urban air pollution and adds to the heat island effect. But more significantly, the distinct enclaves of the better-off and poor has had negative repercussions on its social fabric, increasing crime. Cases of robberies have doubled over the last five years with bike-borne youth snatching valuable gold necklaces from the neck of women is at all-time high. Developing a smart area instead of the larger city intensifies this inequality, sociologists say. The BTCD plans high security surveillance. In contrast, Satyakali slum typifying many of the city’s other informal settlements that will not gain from the BTCD, not only lacks basic facilities but its environs are far from healthy. “The natural wetland drainage receives not just sewerage, but fish sellers nearby dump waste; students’ hostels throw their food leftovers and as the summer dries up the water flow, the putrid smell is what our children breathe in all day,” Kalpana Bagha told IPS. Without toilets, they defecate beside the drain. In Bhubaneswar, 28 per cent or more than a quarter million population practice open defecation. A dug-well provides for washing utensils and cooking. Their drinking water is sourced from the cemetery 200 metres away through a thick plastic pipe. “It’s so tattered that the drain’s slime leaks into it; but we have no other option,” Kalpana said. Her 6 year-old son is stunted, succumbing to diarrhoea ever so often, worsening as the city temperature tops 40 degrees Celsius since March and looks a sickly 3 year-old. Despite the hot noon breeze, slum inhabitants sit outside under the little shade they can find. Many slums’ black ‘plastic-sheet homes’ are extremely vulnerable to heat and fire, packed like matchsticks in settlements that occupy just 5 per cent of the city’s geographical area. As development inequity widens between Bhubaneswar and rural Odisha, and climate change intensifies natural disasters like the current heat wave, rural migration flows will increase, more so in drought years when hundred thousands are seen in exodus to the city.